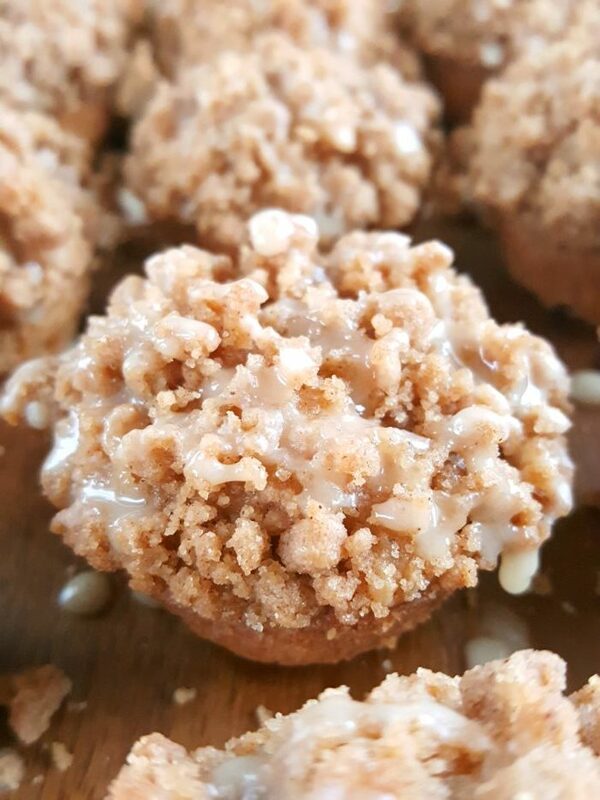 These gorgeous little sour cream coffee cake mini muffins will steal the show at breakfast, brunch, or dessert! They’re surprisingly easy to make and I guarantee that they won’t even last a day! Coffee cake is a cinnamon-flavored cake topped with a buttery crumb topping and usually drizzled with a simple vanilla glaze. Despite its name, coffee cake does not contain any coffee whatsoever! It’s actually a cake intended to be eaten with coffee, not made with it. 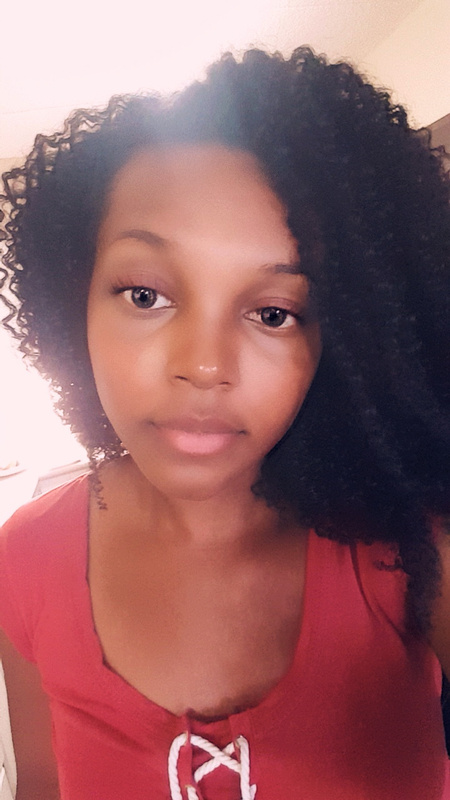 I’m sure most of you already know this but I’ve recently discovered that there’s a surprising amount of people who don’t. 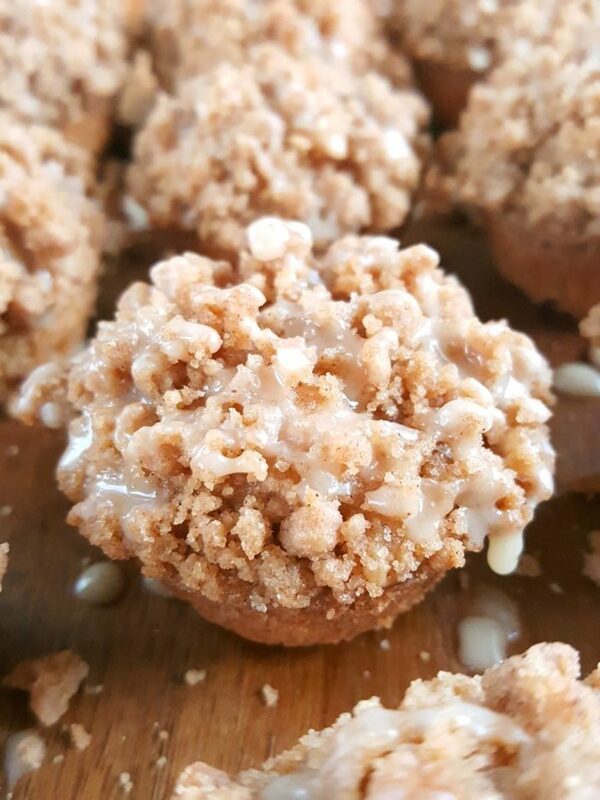 These cinnamon streusel mini muffins are basically little bites of sour cream coffee cake. This is a simple mini muffin recipe with simple ingredients and surprisingly easy to make! So don’t be intimidated. It’s very straightforward. Miniature muffin recipes are so fun to make and fun to eat too! This recipe has been added to my growing list of best mini muffin recipes. There are also these cinnamon sugar mini muffins and these mini blueberry banana ones. You’ll need to use a fork to mix and create coarse crumbs. A spoon just won’t do the job here. It’s going to seem like a lot of crumb topping but it’s just enough. 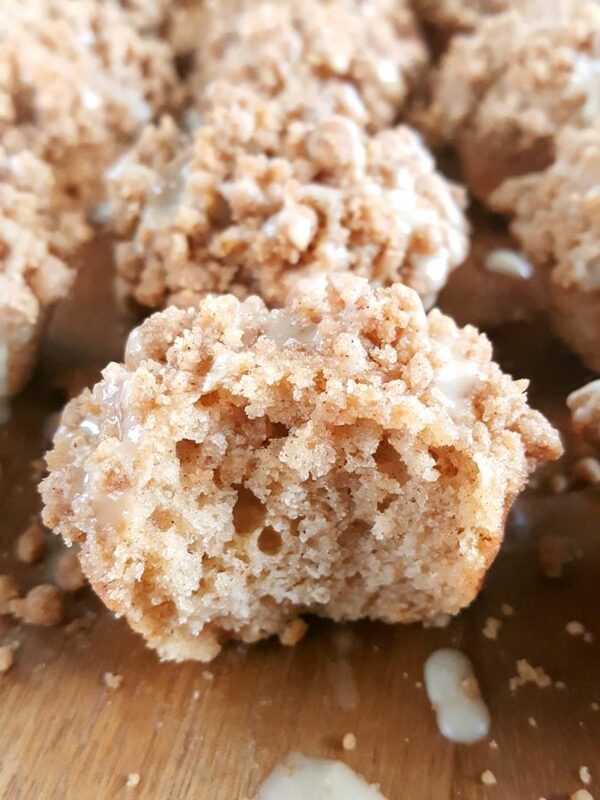 And it’s honestly the highlight of these little sour cream coffee cake muffins. The batter comes together very quickly and easily. Be careful not to over mix! It’s very thick and will not sit “nicely” inside the muffin cups but that’s okay! It’s all going to get pushed down when you add the crumb topping. I like to use the ‘two spoon method’ to scoop the batter into the mini muffin pan. I use one spoon to scoop the batter out of the bowl and the other spoon to slide it off into the muffin cups. That way there’s no mess! The glaze is very simple and it’s also the perfect amount. It‘s made with only 3 ingredients; powdered sugar, cream/milk, and vanilla extract. If you have cream on hand, use it! It yields glaze that is more creamy and rich in flavor compared to milk. You may have to add a splash more cream/milk depending on what you wish the consistency of the glaze to be. Originally, I didn’t plan on making a glaze for these little beauties but I thought why not? The best coffee cakes always have glaze! When I tried the muffins without the glaze they tasted great but after trying them with the glaze, they went from great to amazing! 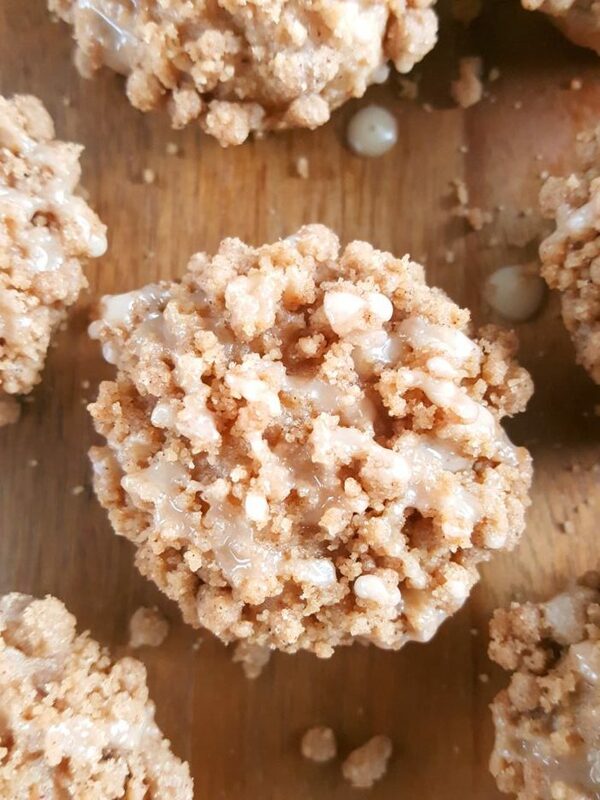 Since these are sour cream mini muffins made with brown sugar and spiced with cinnamon, they are soft and packed with flavor! 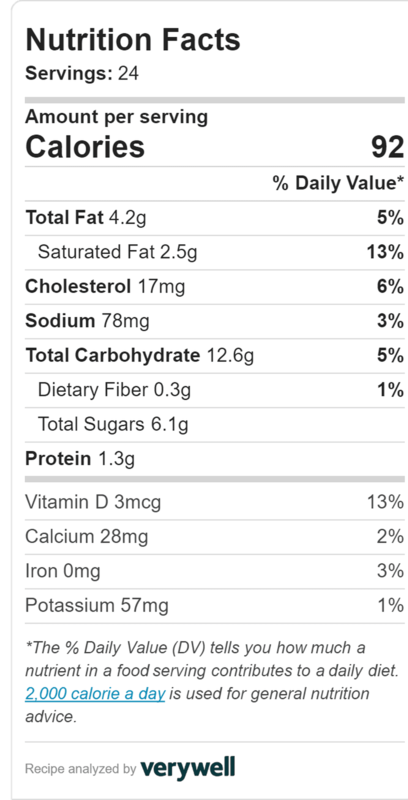 I love cinnamon so much and although there’s only 1 1/2 teaspoons in this entire recipe, I find that it’s the perfect amount. One thing I was very careful about with this recipe was the amount of sugar. I didn’t want these muffins to be too sweet so make sure to measure the brown sugar and powdered sugar correctly as stated in the recipe. I wasn’t quite sure what to call this recipe. I thought maybe I should call it two-bite mini individual coffee cakes, or maybe sour cream coffee cake mini muffins? 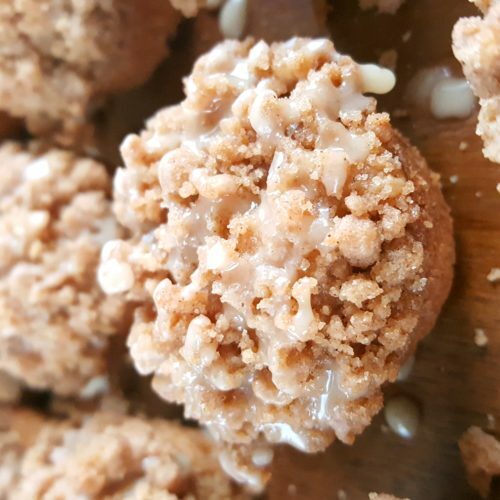 I ended up going with coffee cake bites because it’s short and catchy and quite accurate. The other names were definitely overkill. It doesn’t really matter what you call them anyway. What matters is that they’re easy to make and super delicious! These gorgeous little sour cream coffee cake mini muffins will steal the show at breakfast, brunch, or dessert! They're surprisingly easy to make and I guarantee that they won't even last a day! Preheat oven to 350°F. Spray mini muffin pan with nonstick cooking spray or grease with oil. *I don’t recommend using liners. Using a fork, combine butter, brown sugar and cinnamon. Mix in the flour until fully incorporated. Continually mix until mixture is crumbly, breaking apart any overly large clumps as necessary. Set aside. In a large bowl cream together the butter, sour cream, brown sugar, cinnamon, and salt (mixture should be completely smooth). Beat in the egg and vanilla extract. Add the flour and baking powder and mix until incorporated (batter will be thick). Do not over mix. Scoop batter into the mini muffin pan filling the cups about halfway. Top each muffin with a generous amount of crumb topping, gently pressing it into the batter as you top each one. Bake for 10 – 11 minutes until toothpick inserted comes out mostly clean. Cool in pan 5 minutes then remove. In a small bowl mix together powdered sugar, cream/milk, and vanilla extract (if glaze is too thick add a splash more cream/milk). Drizzle over muffins and serve.